On March 29, 1992, Bill Clinton made a startling statement during his ultimately successful run for the presidency. Responding to a question at a candidate’s forum, then-Arkansas Governor Clinton was compelled to admit that he had experimented with marijuana as a youth. Fast forward 27 years to 2019. Boy, have things changed. The quickening pace of marijuana legalization has spawned a multi-billion-dollar marijuana industry, with investors jumping on the pot bandwagon. One hot pot stock right now is Corbus Pharmaceuticals (NSDQ: CRBP), a small-cap clinical-stage biotech that’s developing new drugs to commercialize. Corbus has been on the move lately. 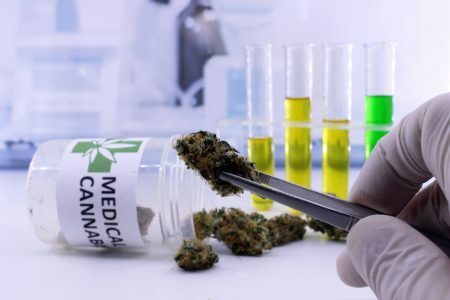 The shares of this cannabis biotech have gained 20.2% over the past month, beating the health care sector’s loss of 0.2% and the S&P 500’s gain of 2.3% over that period. Ten states and the District of Columbia have full marijuana legalization, and another 23 states permit medicinal uses with permission from a doctor. Pot remains illegal at the federal level, but some politicians want to change that. Ever since the Democrats took control of the House of Representatives in November, the move for full legalization of marijuana has gathered steam. Indeed, among Democrats, marijuana has become a political litmus test. The party increasingly skews toward the left; Democrats who oppose pot legalization are finding themselves marginalized on the issue. That’s a huge tailwind for the booming marijuana industry, especially biotechnology firms such as Corbus that are developing new drugs for diseases that resist conventional therapies. This “Green Rush” is feeding an investor frenzy, reminiscent of the 19th century Gold Rush. We’re witnessing enormous hype over a multitude of marijuana plays, many of them tiny penny stocks that generate neither earnings nor revenue. But what about Corbus? Is this stock worth buying in 2019? Or will it crash and burn like a lot of “fad” stocks in the marijuana space? Let’s find out. Based in Norwood, Mass., Corbus is a Phase III clinical-stage pharmaceutical company. That means it is involved in double-blind randomized trials for drugs, in which one group of patients receives the drug, while a control group is given a placebo. The trick is that neither the patients nor the researchers know who gets the drug. Phase III studies have hundreds or even thousands of patients and studies can go on for years. The goal is to root out all possible side effects or adverse conditions, as well as study the long-term effectiveness of the drug. With a market cap of $465.5 million, Corbus specifically works with drugs to treat inflammatory and fibrotic diseases using endocannabinoid system-targeting candidates. The company’s top candidate is Lenabasum. It’s entirely synthetic and designed to stop chronic inflammation and fibrotic processes. Lenabasum is being used to treat trial patients suffering from systemic sclerosis, cystic fibrosis, dermatomyositis, and lupus. Corbus also is exploring CRB-4001, designed to treat cholangitis, idiopathic pulmonary fibrosis, radiation-induced pulmonary fibrosis, myocardial fibrosis, and acute interstitial nephritis, among other ailments. CRB-4001 is pre-clinical and set to begin Phase 1 this year. The company is looking into another 600 molecules for possible clinical trials. How Has Corbus’ Stock Performed? Over the past 12 months, Corbus shares have lost 26.8% whereas the S&P 500 has gained 9.6%. Over the past two years, Corbus shares have gained 0.4% whereas the S&P 500 has gained 21.7%. Over the past five years, Corbus shares have gained 141% whereas the S&P 500 has gained 42%. How Has Corbus Performed in 2017/2018? In 2017, Corbus shares lost 15.9% whereas the S&P 500 gained 19.4%. In 2018, Corbus shares lost 31.2% whereas the S&P 500 lost 7.5%. Let’s look at Corbus’ main competitors, all of which face strong prospects and pose formidable direct challenges. Corbus has its hands full with Roche, the mega-cap ($236.1 billion) company that has scores of drugs and therapies, of which fibrotic diseases are included. Esbriet, for example, is a Roche drug that treats idiopathic pulmonary fibrosis. This disease creates scarred lungs and makes it hard to breathe. It is particularly effective in patients whose disease is rapidly progressing. Pulmozyme is an aerosol treatment for cystic fibrosis. The disease is caused by a defective gene, which creates mucus buildup in the lungs and pancreas. This traps bacteria and leads to a lot of infections and lung damage. Eventually, the patient experiences respiratory failure. In the pancreas, the mucus prevents the release of digestive enzymes which means vital nutrients can’t be broken down and received by the body. Roche is a huge player with extensive infrastructure and it’s developing drugs that directly compete with Corbus. 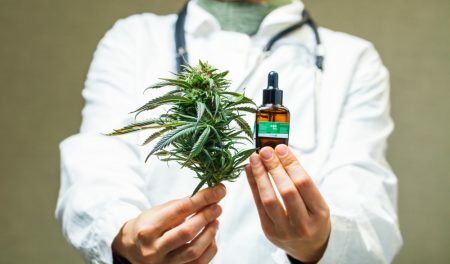 The company has a 100% ownership position in Peace Naturals, a Canadian company that produces and sells medical marijuana that already has consumers in Canada, Germany, and Poland. Cronos also owns 21.5% of Whistler Medical Marijuana Company. Cronos is in joint ventures with no fewer than four other companies around the world. Ginkgo Bioworks will produce cannabinoids for Cronos, which gets a royalty-free and exclusive license for production and commercialization. Corbus can point to good news. In January 2019, Corbus entered into a strategic collaboration with Japan-based Kaken Pharmaceutical for the development and commercialization in Japan of Corbus’ investigational drug lenabasum for the treatment of systemic sclerosis and dermatomyositis, two rare and severe autoimmune diseases. Under the terms of the agreement, Kaken received an exclusive license to commercialize and market lenabasum in Japan. In return, the company made an upfront payment to Corbus of $27 million. Corbus is eligible to get an additional $173 million upon achievement of certain regulatory, development and sales milestones as well as royalties. The announcement buoyed investor sentiment and at least temporarily lifted the stock. However, the risk with clinical stage biopharmaceutical companies is that you are essentially rolling the dice. There is no guarantee whatsoever that its clinical trials will be successful. We’ve seen far too many drugs have great early stage trials, only to fall flat in Phase II or III. The other risk with clinical stage biotechs is whether they can even stay in operation during the trials. Trials are expensive and there’s no money coming in, other than investment. Corbus is different from most weed companies on the market, though. Rather than just muck around with weed as a general pain management system, Corbus is taking specific molecules and designing therapies around them. If any of these therapies work, it will be big news for the company. Some analysts put the value of potential sales at $2 billion a year. Meanwhile, enormous tailwinds benefit the marijuana industry in 2019 and beyond, as this video explains. In January 2019, Corbus completed a $40 million public offering. Cash on hand currently totals $41.7 million. That’s a bright spot. But considering Corbus’ valuation, the market is putting an awful lot of faith in a company with one drug in Phase III and another in Phase II. And yet, the company’s operating results have been discouraging and reveal widening losses. For the fourth quarter ended December 31, 2018, Corbus reported a net loss of $17.3 million or a net loss per diluted share of $0.30, compared to a net loss of approximately $10.6 million, or a net loss per diluted share of $0.20, in the same quarter a year ago. For full fiscal year 2018, the company reported a net loss of $55.6 million or a net loss per diluted share of $0.98, compared to a net loss of $32.4 million or a net loss per diluted share of $0.65 for 2017. Trying to predict how a biotech will move in a single year when its leading drug candidate’s clinical trial isn’t over until 2020 is problematic. It mostly involves guesswork. You should generally avoid small-cap biotechs that consistently lose money. Sure, if a clinical stage biotech gets its drug candidates approved, the stock can soar. But most of the time, these companies fizzle out and leave investors holding the bag. Surviving the U.S. Food and Drug Administration’s approval gauntlet is expensive and time-consuming; most fledgling biotechs simply run out of money before they can hit pay dirt. We’re facing a potentially tumultuous year, with worsening headline risks and worries about a global economic slowdown. When the stock market sells off again (and it will), money-losing biotech upstarts such as Corbus will get clobbered the worst. Investor hopes are strong for the marijuana industry, but hope is not a strategy. The pot business is heading for a shakeout; only the fittest will survive. You should avoid Corbus. Not all marijuana stocks are created equal.